Israel has been reassured that the International Criminal Court will not exercise bias in rendering its decisions in the investigation of suspected war crimes committed during the 50-day IDF campaign in Gaza last summer. The court is to consider the arguments and the evidence brought against Israel by the Palestinians “independently and impartially without fear or favor,” ICC chief prosecutor Fatou BensoudatoldHaaretz newspaper. The prosecutor stressed that she intends to launch an “unbiased” probe of the Gaza war and plans to investigate both sides of the conflict. Bensouda stated that officially no investigation has yet been launched into either side. “We will of course look into the alleged crimes committed by all sides to the conflict, including the role of Hamas. I have made this clear to both Israeli and Palestinian officials,” Bensouda said. “If an investigation is opened in any given situation, my office will be guided by a policy of investigating and prosecuting those most responsible for the commission of mass crimes,” Bensouda added. 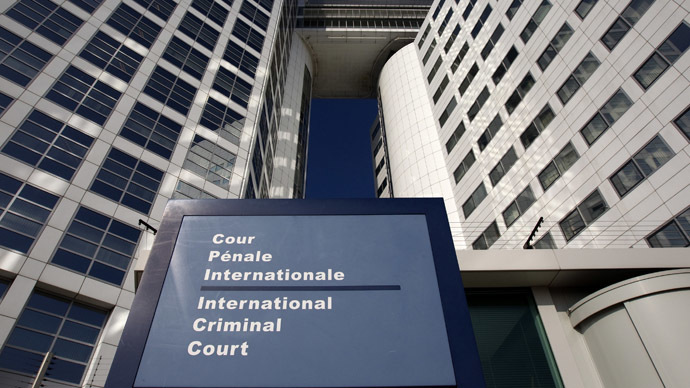 Palestine is soon to have its day in the ICC, after securing long-awaited membership at The Hague, on April 1, this year. Palestinians are seeking justice for Israel’s operation ‘Protective Edge’ last summer, in which thousands of civilians were killed. If an official investigation is opened, the prosecutor said, her office will most likely focus on “notorious perpetrators” but warned that in the process of building stronger cases upwards against those most responsible “lower- or mid-level perpetrators” will not be spared. “In the course of the preliminary examination, we will gather and assess information received from reliable sources from all sides, including from Israel, on alleged crimes committed by any party to the conflict,” she said. Israel considers any accusations leveled at it with outrage and says it will not allow its soldiers and officers to be dragged to The Hague. While the ICC has no authority to arrest suspects in Israel, it could issue arrest warrants making it difficult for Israeli officials to travel abroad. When asked by the Israeli publication how can the Hague take petitions from unrecognized Palestinian state seriously, Bensouda said that an “observer state” status granted by the UN General Assembly in November 2012 is just enough recognition “for the purposes of accession to the Rome Statute,” which governs the international court proceedings. Joining the ICC opens up possibilities: the Palestinian leadership can not only take the Israelis to task for their summer campaign, they can also challenge the Jewish state’s continuing settlement building beyond the Green Line as a war crime. Israeli settlement construction has long been condemned by the international community, including the UN.